Dammaged Goods: Sherman Oaks Saturday: Books, Movies, Video Games, Oh My! 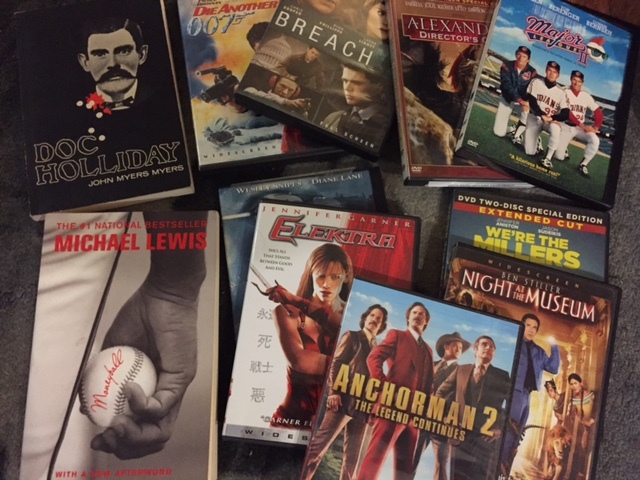 Sherman Oaks Saturday: Books, Movies, Video Games, Oh My! Then it was on to Ventura Boulevard for old standby The One-Up for brunch (chicken and waffles seemed like a good idea but were WAY too sweet), some cocktails and arcade madness. Newly added Time Crisis and a new two-player, stand up cabinet where we played some The Punisher side scroller. Next door is Von Eaton Animation Galleries which had some general cartoon cels up including Johnny Quest and stacks of cels from the likes of X-Men and The Little Mermaid. Then a nice used book store had an entire American West section with titles on Doc Holliday and Johnny Ringo and I grabbed the former. Looking forward to the dime store or actual story of one of the west's most intriguing characters. The Royal Oak briquets lasted longer than other charcoal and burned ... more robustflavor to the food than any other lump wood we tested. Best type of smoker for beginners: Rare in taste, best in performance!